1. 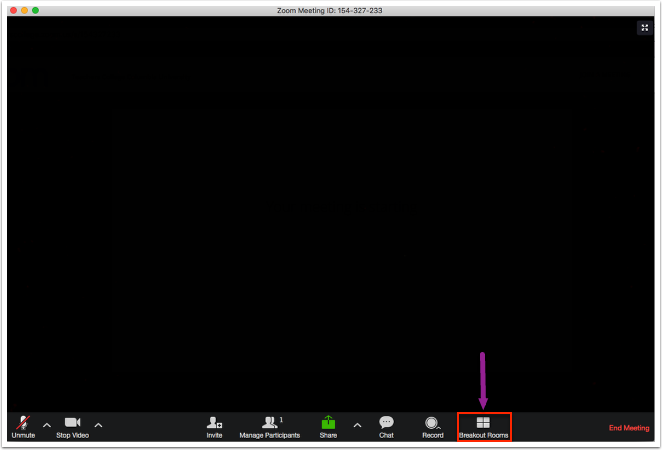 In your Zoom meeting select the Breakout Room icon from the Zoom navigation bar. 2. 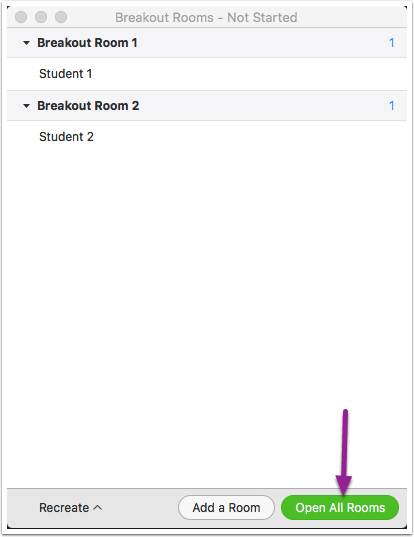 In the pop out window you can choose the number of breakout rooms you have and also if you would like for Zoom to automatically place students in rooms or for you to manually place students. 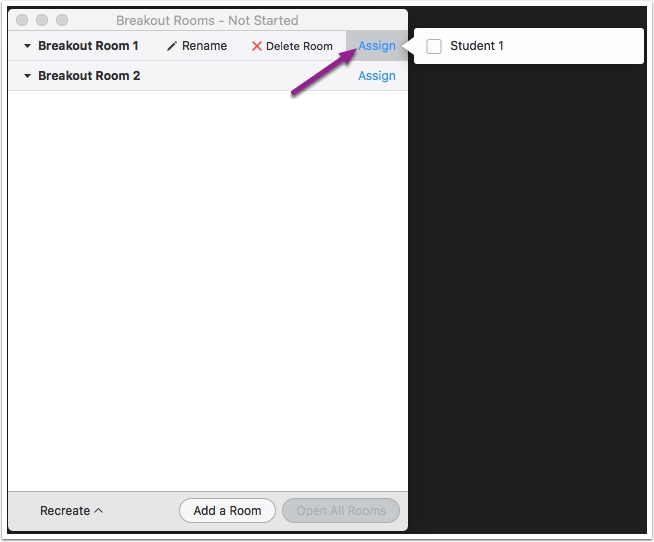 Select manual and click Create Breakout Rooms. 3. 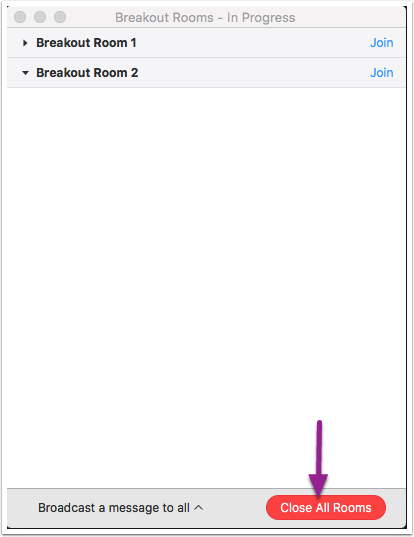 Float your mouse over the Breakout Room to rename or delete the room. 4. 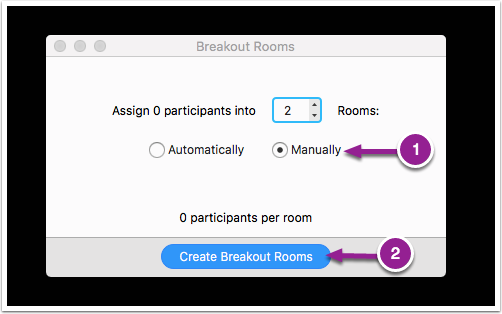 Click Assign to put participants in breakout rooms. 5. 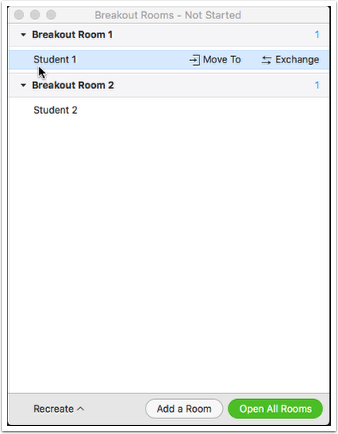 To change or exchange a participants assignment float your mouse over the participants name once they have been assigned. 6. Once your assignments are set. Click Open All Rooms. 7. 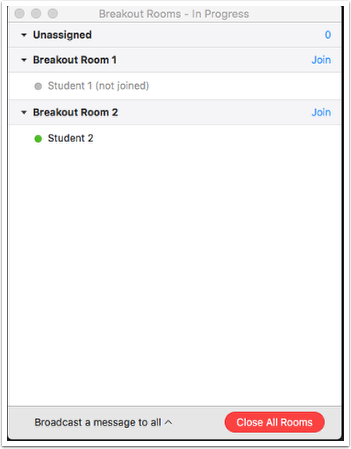 Students must accept the breakout room invitation to join. A green dot will appear once students have accepted their invitations. 8. 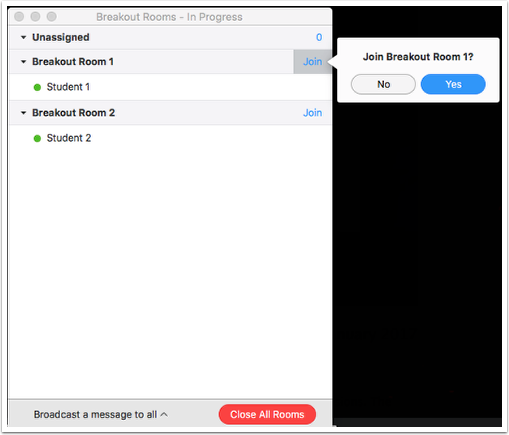 As the Host you can join a breakout room by clicking join. 9. 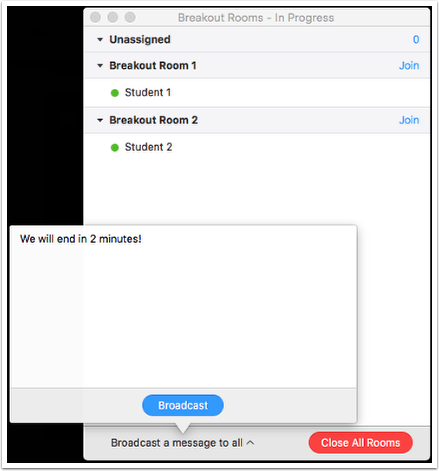 To send a message to all participants click Broadcast a message to all. 10. 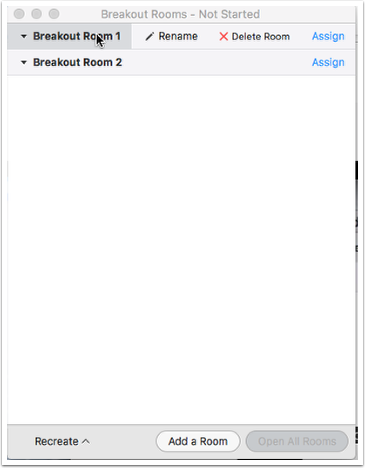 When you are ready to close the breakout rooms click Close All Rooms. Participants will then have 60 seconds to finish their conversations before the breakout room closes.